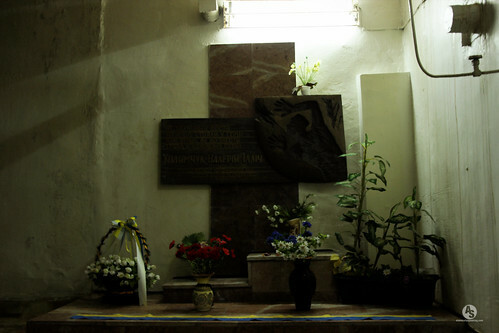 Deep in the bowels of the Unit 3/Unit 4 Ventilation block is a memorial to a fallen hero of Chernobyl, Valery Khodemchuk, a machinist who was likely killed by debris from the explosion of the reactor that destroyed the main circulation pump halls where he was presumable standing at the time of the disaster. 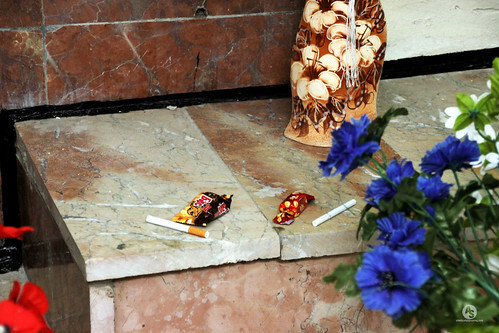 His body was never recovered, but Chernobyl workers maintain his memorial and leave fresh flowers, candies, and cigarettes. 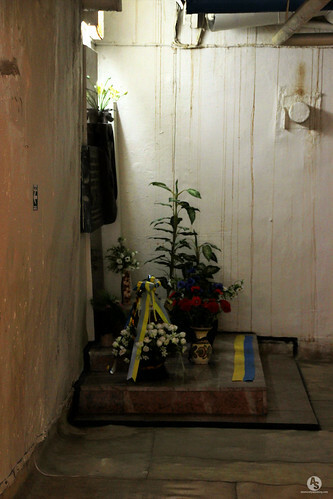 When you approach the memorial, you are surrounded by an oppressive silence struck by the human toll of the accident. It is sobering to think of Khodemchuck, alone at a telephone on the far end of the main circulating pumps hall with the pumps violently shaking. Valery would’ve been able to see and hear these monstrous pumps straining to push water into the reactor, but as he is getting ready to report the vibrations to the operators – there is a series of powerful explosions. It is likely that Valery never figured out what was going on in the reactor, but he likely knew that there were serious problems developing in the core. Because his body was never recovered, no one knows if he was killed in the explosion or was pinned underneath debris and was waiting to be rescued when he perished. It is hard to determine exactly how many explosions were involved in ripping apart the nuclear reactor and reactor building, one firefighter reported there were at least three. 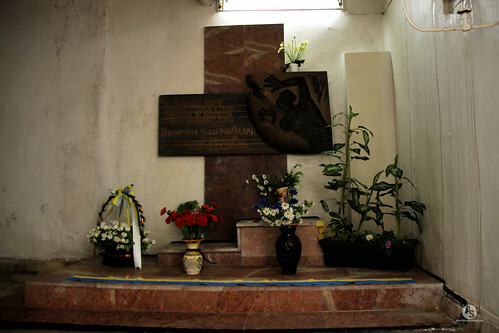 The force from the explosions destroyed the main circulation pump halls on either side of the reactor and this is where Khodemchuk’s body remains. After the explosions, Valery Ivanovich Perevozchenko, a shift foreman of the reactor section was one of the first to realize the severity of the accident. From the broken windows of the deaerator corridor Perevozchenko was able to see that the reactor building was destroyed and that the main circulating pump halls had been reduced to a pile of debris and wrecked equipment. Perevozchenko’s first reaction was to race off to try to find Khodemchuk. As he dashed towards the ruins of the pump hall Perevozchenko ran past two other workers, Petya Palamarchuk, the chief of the laboratory, and Nikolai Gorbachenko. Perevozchenko yelled “I’m going to get Khodemchuk!” as he raced past them. The radiation levels in the ruins of the main circulating pump halls were over 10,000 roentgens per hour. That night Perevozchenko did everything humanely possible to save the workers under his command, including Khodemchuk, even though he realized that he was being exposed to lethal amounts of radiation in doing so. Just a few hours later Perevozchenko was receiving medical care, but it didn’t help. By the time medics reached him he was vomiting and fading in and out of consciousness, and the administration of an IV was unable to revive him. His exposures had been so bad that the skin on various parts of his body had swollen, burst and was hanging off in strips. His face and hands were so badly swollen that even the slightest disturbance caused new rips and tears. The doctors worked hard to alleviate the pain of patients like these, but there was only so much that they could do.